Is stem cell therapy suitable for me? Stem Cell Therapy in India has provided another solution for eradicating hair loss. The procedure is performed by the leading hair surgeons in India in a well-equipped clinic. The experiments performed before this technique was introduced showed that more hair growth occurred in mice, which shows it is possible in humans. The patients who have had Stem Cell Therapy so far have reported good results and more hair growth after the procedure. This treatment stimulates the cells in the bald region to produce hair due to the fact that cells may die at times, get damaged or worn out which increases hair fall in an individual. 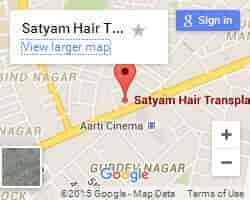 Hair Transplant in India and all other hair and cosmetic procedures are performed at the renowned hair transplant clinic in India. Use the best technique to live a life that is free from all types of hair fall.